Kindergarten is an exciting time for everyone – little kids are getting their first taste of Big Kid School and parents are getting their first taste of full days to themselves and their own work again. But even kindergarteners need support for them to keep up and keep interested in their budding educational lives. So, how do you support kids this young without overwhelming both them and yourself? A great starting place is to get to know their teacher(s) as best you can. Understanding where their teacher(s) is coming from and what they’ll be assigning can give you a real leg-up when it comes to time management and helping your kids triumph over homework. Be certain to know how your child is performing in comparison to the rest of his or her class. If your child is falling behind, don’t delay in getting them involved in some extra tutoring. There’s a lot for a kindergartener to handle at this age, learning not only new social skills and rules, but new academic knowledge and skills as well. It’s thus important for a child’s self-esteem and skills development that they generally keep pace with their classmates. Another great starting place is to establish habits and patterns of homework/reading time with your kids (at the kindergarten level, of course, “homework” should really only take about ten solid minutes of concentration). Make it clear when it’s study time and when it’s not. When you’ve got that free half hour or hour to sit down with kids and talk with them about what they’re learning, make sure they know precisely what that time is for every single day. This way, homework/reading/discussion time isn’t something “extra” that they have to sit through each day; instead, it’s another scheduled, expected part of their day just like lunch, school, and recess. Know when your child is struggling with something and keep in a friendly, open dialogue with their teachers regarding this and all related developments (though also be careful not to helicopter or overwhelm teachers as this can often shut down relationships before they’ve been built). Know what’s expected of your child for kindergarten before they enter it. According to Scholastic, most kindergarten teachers are expecting their students to come into class on the first day already having developed strong oral-language skills, listening skills, an ability to play well both by themselves and with others, strong fine-motor skills, and basic recognition/comprehension of numbers and letters. So, be sure to talk and work with your kids on these skills in particular before they take that big first step into the classroom. Nurture your child’s enthusiasm for learning outside of class. There are many terrific ways to do this. Kindergarten is only the very beginning of your child’s life of learning and discovery, so make sure they understand that education is more than just “work,” but that it can be fun, rewarding, exciting, and invigorating as well. So, start teaching by example! 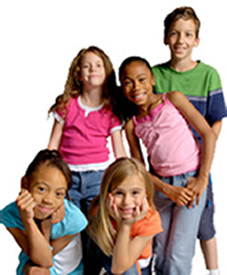 Try reading with your kids regularly; playing educational games with them; taking them for walks where you introduce them to different road signs, colors, and conversations; playing board games; introducing them to new people; introducing them to scouts and other team activities; and/or taking them to museums, zoos, and aquariums. And don’t forget to encourage your kids to take responsibility for themselves and to explore things for themselves, to ask questions, and to talk about new ideas. These kinds of conversations not only expose your children to more vocabulary words and ideas, but also help them develop important character traits such as curiosity, determination, and courage. Summer Reading – Keep Reading Fun! Unfortunately for many students, summer reading often sounds boring. Similarly, for many parents, it can sound like a distant dream—something they wish they had time for but believe they no longer do. The truth, though, is simply that we’ve stopped trying to teach our kids that reading can, in fact, be fun, and that we’ve simply stopped trying to make time for reading for ourselves. Reading isn’t something that just spontaneously happens; you have to make a choice. Do I watch this TV show or pick up a book/magazine/article/newspaper? And it’s high time we started thinking more about just these kinds of everyday choices and opportunities, because it’s you and your example that your kids will look to in order to learn what relaxation, fun, and learning can look like. • Set aside blocks of time each day for reading, such as a half hour in the morning with breakfast and a half hour at night before bed, and turn off all electronics during this time to reinforce the effort (yes, that means cellphones too). • Pick out a variety of reading materials to choose from and have handy for each month—try a new novel, a new book of short stories, of poetry, and try a new magazine (Orion, The New Yorker, Harper’s—all of these and many like them are filled with long-form journalism, short fiction, book reviews, and often poetry as well). 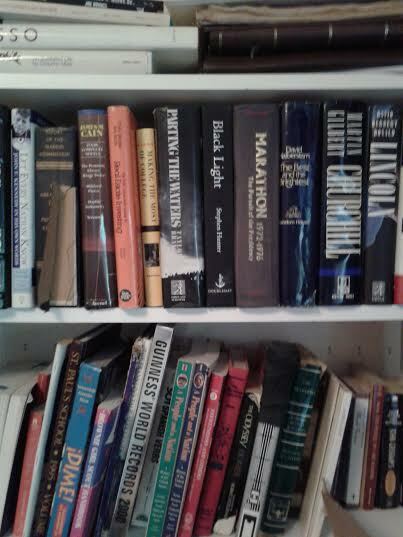 Having a variety of materials available in different genres and styles will help you to keep moving in case you find yourself bored or dissatisfied with your initial reading choice. • Make sure that you set aside some reading times where you can be surrounded by other readers. This can often help motivate everyone involved to keep reading past any initial feelings of itchiness or wanting to give up. This also gives everyone an opportunity to share and discuss what they’re reading with each other. Discussing works as you read them can both help you to better retain the information you read as well as help make reading more fun and meaningful for all. • Get out and read somewhere unexpected! Reading doesn’t just have to be a home-bound activity. Go out and read in a coffee shop, library, restaurant, or park area. If you have a front stoop or porch, read out there and wave to your neighbors as they stroll by. If you haven’t been out on a date with your loved one in a while, why not propose a reading date to your favorite local hang-out or bar? Just you, your partner, a couple of books, desserts, coffee, and a lot of fascinating, engaged discussion–sounds like summertime to me! Reading isn’t something to be afraid of, intimidated by, or to feel guilty about. Reading is a way to exercise your mind, give yourself a break, and reconnect with friends, family, self, and the world. Around April and May, people often start talking about summer “brain drain” and learning loss, losses that can be as great as—at least the popular measure tends to be—2 to 3 months of school-learning. However, this isn’t something that students are powerless to prevent, change, or reverse. We’ve all experienced it for ourselves before, whether there was that one summer that seemed to simply disappear without ever having existed at all or that summer where mishap after mishap seemed to just keep tugging away at our every best intention to read, learn a new language, and so forth and so forth. But summer learning loss doesn’t only impact students—it also carries consequences for their teachers and their peers. Regardless of what many teachers try to do during the April/May school months, they’ll often find themselves wasting time in August/September re-teaching students all of the things they’ve forgotten during the summer months. No matter the reasons or a person’s circumstances, however, the infamous summer “brain drain” can often be prevented or reversed with the adoption of a few proactive (and often cost-free) habits and actions. Start your own group activity such as a Writing or Poetry Group, Book Club, Math Club, Art Club, etc. We’ve all been there. Things aren’t going your way for one reason or another, and it’s been a weird/rough/bad two to three weeks, and then, to top it all off, your progress report (or your child’s progress report) arrives with only more tough news. But a poor progress report or a less-than-great couple of weeks shouldn’t ever be enough to tank a person’s entire semester, the same way they shouldn’t be able to ruin someone’s entire spring or fall season. Just as there are ways to turn things around in the working (non-school) world, there are plenty of ways to redeem a semester that’s started out roughly. Obviously, seeking out tutoring and additional help with one’s assignments and study habits is a great way to get a student’s motivations up and their work back on track. Tutoring centers can be especially beneficial as students not only see other classmates seeking help (and thus feel better about seeking it out for themselves), but also because students then have a place to go to that is entirely dedicated to their after-school academic needs and skills. 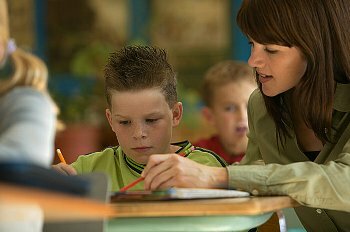 Tutoring centers can provide much more than professionals and teachers. They can provide a quiet, safe space for students to ask questions; a space for students to get work completed without distractions; and a place for students to receive any extra encouragement they might need regarding the maintenance and development of useful study and time management skills. Have the student in question meet with their teacher(s) to discuss how they might improve their work. This not only shows the teacher(s) that the student is taking responsibility and looking to move forward, but can also get an incredibly useful and productive conversation going. Start identifying and working to break bad habits (which may range anywhere from studying in front of the television to not studying at all—we all have our own unique weaknesses and dragons to slay). Draw up (either with yourself, your teachers, your parents, or all three), a Positive Academic’s Contract, wherein you outline all of the things you’re going to do to improve your work ethic, grades, and general appreciation of school, along with all of the things you’re going to give up/sacrifice. Then sign the document with as much formality as you’ve got in you (maybe even draw a couple of blanks for your parents and/or teachers to sign as witnesses to the document). This may seem like a silly exercise, but a public declaration and written commitment can really feel and become more powerful a motivator than you’d think. And, finally, turn off your electronics and have your parents lock them up somewhere secret until you’ve finished what you need to finish each night. Really, for most things, you don’t actually need a computer. Claiming you need to do “research” often only ends up devolving into YouTube and Facebook time, doesn’t it? And if it’s not one of these classic time-pits, it’s probably something else equally unrelated to school. So, you can always start things off by researching the old-fashioned way (cough*reading books*cough*libraries*cough*interviews*cough), before moving on to the loud, shiny, wild world of the Internet. And if you don’t need to do any research right away but know you’ve got something you’ll need to type up, try doing as many other school-related tasks and activities as possible before breaking out the laptop. You’ll be stunned by how much more efficiently you can get work completed in this way and by how much more information you can retain when studying without the added distractions and demands of unnecessary technologies. Good luck! And remember, academic success begins and ends with you. DISCLAIMER: Tutoring 101 fully acknowledges that ADD and ADHD are real diseases that have real impacts and consequences on many people around the world. This post is meant in no way to insinuate that these diseases are “fake” or that people suffering from them should stop taking their medication. This post is intended to simply discuss the issues of over- and misdiagnosis; of understanding how to work with students who are entering the classroom at a variety of levels; and of recognizing the differences between creativity, teaching issues, and learning disabilities/dysfunctions. A big question mark in many people’s minds today is the specter of ADD. Students and teachers are coming together into a single classroom from a variety of backgrounds, from a variety of points in their lives, and with a variety of motives, goals, and assumptions. Because of this, it can be exceptionally difficult at times to adequately engage every student, to adequately appreciate and fulfill the needs of every teacher, and to accurately assess the performance of either party. Due to these difficulties, many have begun turning to things like ADD as a means of no longer having to accept blame or responsibility for said challenges or any resulting failures/issues. “I very firmly believe that A.D.D and various other learning disorders are being used so education can blame its complete and utter inability to successfully educate to a variety of different learning styles on factors that they cannot control. Is there a student who can’t pay attention to the teacher reading from a textbook and is fidgeting or randomly doodling? Definitely A.D.D. How about a student who is always dismantling his/her pen or anything else near him/her instead of reading? Must be A.D.D right? The teacher is doing what they’re supposed to as a teacher, and the other students are learning, so therefore it’s his/her disability. In other words, as many teachers, parents, and students may agree, the expansiveness of the ADD epidemic in the U.S. is not simply due to a vast number of children being born with a new disease, but to a vast number of teachers, schools, and other social systems that are failing to educate larger and larger numbers of children across the country. Long story short? Don’t go jumping to conclusions one way or another, however tempting that may be. These issues, like the children and families they affect, are full of nuance, and the detailed, nit-picky nature of Nuance always requires a wide-open mind and a willingness to speak openly and honestly with others. Dr. Theodor Seuss Geisel (a.k.a. “Dr. Seuss”) is an author whose works continue to inspire and capture the imaginations of millions of children today. Dr. Seuss was truly a fellow who knew how to reach people of all ages and how to communicate deeply complex issues in a way that basically anyone can understand. And, while it might seem that Dr. Seuss’ books are really only tools for younger readers, elements of his style and works can be used for the benefit of students of all ages—including high school and even college students. Have students (middle school) reread one of Dr. Seuss’ books (maybe have each student focus on a different book), such as The Lorax. Then have them discuss/write a paper on what social issue(s) Seuss has distilled into said story and how he stylistically did so—what components of the issue did he focus on, leave out, oversimplify, explain most artfully, etc.? Then have your students take their Seuss book and their analysis thereof, and use these to write their own such story regarding the topic at hand (whether it be the same topic from their Seuss book or another topic from class). Through these activities, students are not only engaging with a funny/goofy text, but they’re actively engaging with/analyzing the techniques of different writing styles as well as learning how to distill complex problems/issues into simple terms and, perhaps most importantly, learning how to then communicate/teach/discuss these problems with others. For students learning about other religions or cultures, you could have them read texts like The Grinch Who Stole Christmas. Following this reading, have them analyze what cultural clashes appear to be taking place as well as what cultural/religious festivities/ideas are being celebrated, brought into question, critiqued, and so forth. Then have your students select another cultural or religious event/holiday/celebration/ritual (such as one they might be learning about in class), and have them attempt to discuss/analyze the chosen event/ritual by writing their own such Seussical work regarding the event/ritual. This will help them begin thinking more critically about what they’re learning, how to communicate it with others, and help them to better realize all the rich nuances of different cultural/religious events/rituals. For education students or students interested in teaching, perhaps have them take one of Seuss’ books such as Horton Hears a Who!, and analyze why Dr. Seuss made each of the choices he did throughout the text given the particular lesson/moral he had in mind. Why did he choose an elephant as the protagonist? Why a bird as the flighty (pun intended), unfeeling mother? Why does the bird’s egg hatch out a half-elephant? What problems/ideas are these choices meant to demystify for children/people and what problems/ideas do these choices themselves create? After completing said analysis, have your students take whatever problem/lesson they have at hand, and have them turn it into a Seuss-styled book aimed at illuminating certain issues for readers while also encouraging/raising new questions for them. This can help students not only bolster their reading/critical analysis skills, but also help them to see that sometimes creating space for more questions can be just as useful (if not more so) for encouraging meaningful conversation/learning than can stating facts or theories outright. For history students or literature students, you could have them analyze various of Dr. Seuss’ books in relation to the author and his biography/background. This has the potential to open meaningful discussion regarding the importance of discussing or not discussing texts in relation to their authors as well as discussion regarding the importance of being culturally and historically literate before approaching texts. For students of marketing, activism, or media, it could be fun and fascinating to have them analyze how various of Dr. Seuss’ works have been used in recent years to market different products and ideas outside the books themselves (such as using the title character from The Lorax to pitch and promote various supposedly “green” products). This will not only enable students to meaningfully engage with vital contemporary issues, but will also give them an opportunity to discuss how advertising and media can warp, muddy, or clarify issues, messages, and causes for either better or worse. For film and literature students, it could be beneficial to open discussions of book and film adaptations by looking at those of Dr. Seuss’ works that have been adapted to film and how successful or unsuccessful those adaptations were (in all the possible meanings of the word “successful”). So, as you can see, Dr. Seuss’ works continue to offer a cornucopia of learning possibilities for students of all ages, interests, and backgrounds. At Seussville.com you can find all manner of books, lesson plans, and classroom activities based on Dr. Seuss’ works. Seventh Generation: Dr. Seuss’ The Lorax on our Diapers? What’s Going On? The Guardian: Why don’t Dr Seuss’s books make good movies? 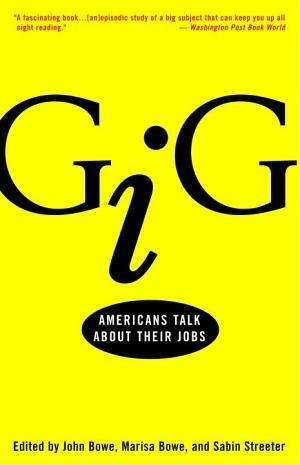 Gig: Americans Talk About Their Jobs, edited by John Bowe, Marisa Bowe, and Sabin Streeter, is a tremendous resource that I wish I’d had as a kid growing up and thinking about what I wanted to be one day. For me, as it is with many people, the job market from my perspective as a high schooler was simply College. It had nothing to do with actual jobs. And when I was queried about what I’d do with my college degree? I’d just shrug and rattle off the usual suspects: teacher, activist, artist, etc. And, while there’s certainly nothing wrong with this line of thinking or focusing on these (great!) jobs as possible careers, it was an incredibly limited view of the world and all that it can offer young, creative minds. Thank goodness for books like Gig! Now, we don’t normally plug specific books here, but this one caught our eye as especially useful for both students and parents who may be dreading or just plain avoiding the topic of college majors and job opportunities altogether. This book is one of those rare finds that not only discusses unusual and “usual” jobs, but which actually provides honest (sometimes hilarious and sometimes heartbreaking) first-hand accounts of what it’s like to work these jobs from people who have been working them for years. As soon as I came across this book, I knew it was perfect for both students (of all ages) and parents as a tool to not only expand their thinking of their own potential but of the potential of jobs/careers that are not often thought of or considered desirable (such as long-distance truck driving or hatter work). But, of course, more than jobs–this is a book of passions. Finding and practicing one’s passion in a career can be hard to accomplish–after all, it’s hard enough to even recognize the face(s) of one’s “true” passion(s) (especially at so early a stage in life as high school or college). This book includes narratives of some workers who are thrilled with their work and of others who are consistently disappointed in it. What’s most impressive, however, is that these narratives don’t leave things at “I don’t like it” or “It’s great!” These narratives truly explore the ins-and-outs of different careers and why they’d work for some and be nightmares for others. If you’re looking for nuanced views of wild and varied jobs, then this is definitely a book to check out. And, having read the book and felt both relief and envy at the many tales captured within, I couldn’t agree more. In other words, it’s a book that can help students begin learning about careers that require and don’t require college degrees, jobs that could take them all over the world, jobs that they may have misjudged for better or worse, and jobs that they may have never even known existed. So, if you’re having trouble getting your students/kids excited about college or their career potential (or considering a new career move for yourself whether you’re a parent or child), this book is definitely a great way to spark a more nuanced and thoughtful conversation regarding the whole wild craze of career building and job searching.